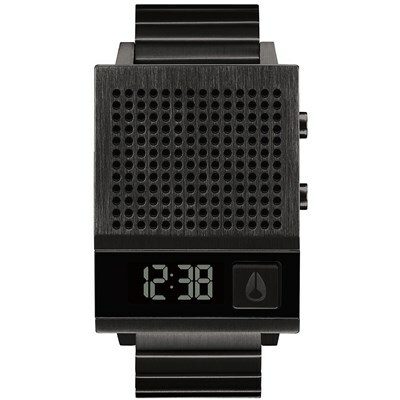 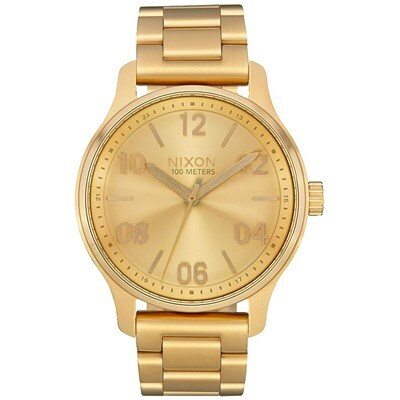 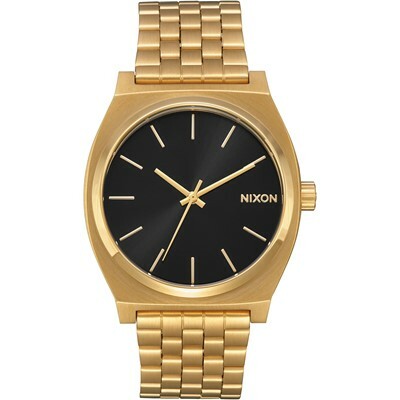 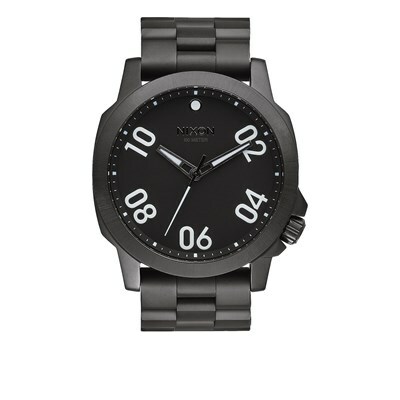 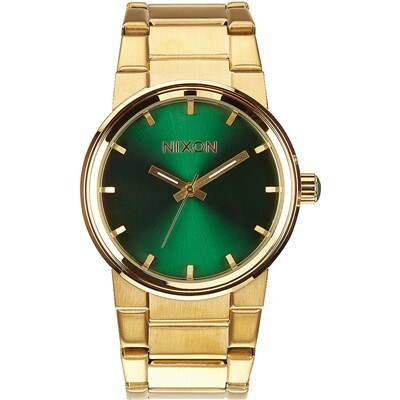 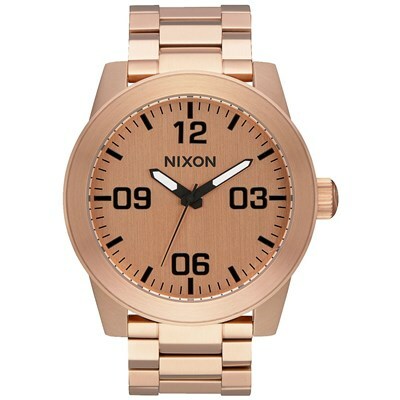 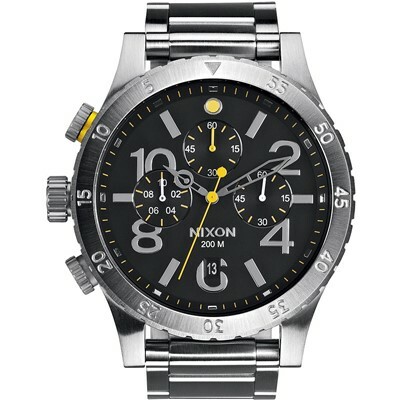 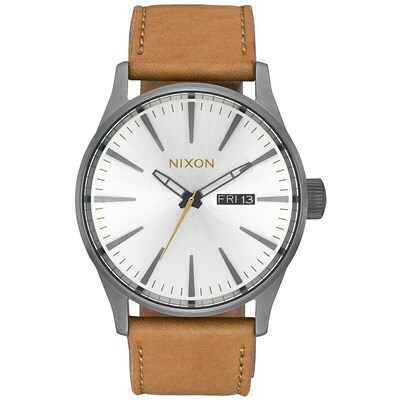 This is Nixon's watch with a vintage soul wrapped in a rich leather band into an understated, contemporary design. 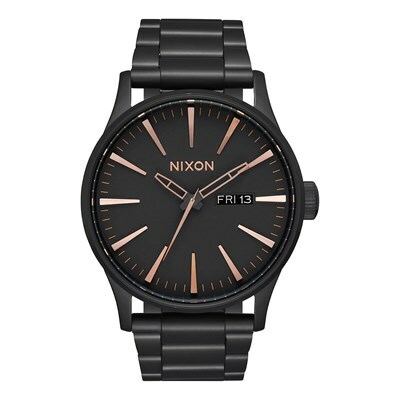 Precision details like chamfered edges and a tapered band add depth and character. 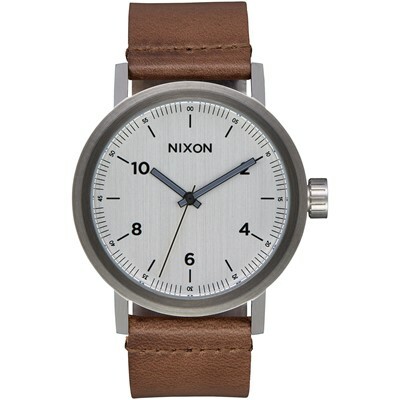 22-20mm tapered custom genuine leather band with custom solid stainless steel buckle. 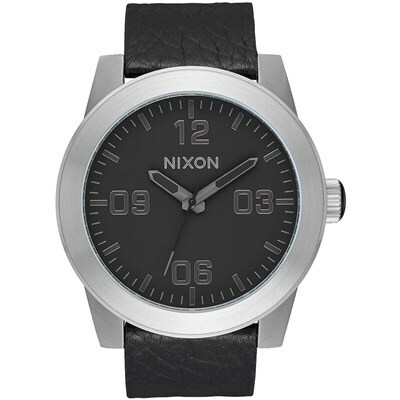 custom stainless steel case with chamfered edges and domed hardened mineral crystals. 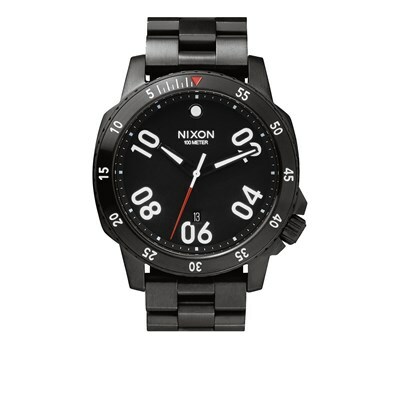 printed markers every 15 minutes.